With Lovetts of Ramsgate estate agents, buying a property isn’t as complicated or daunting as it looks. 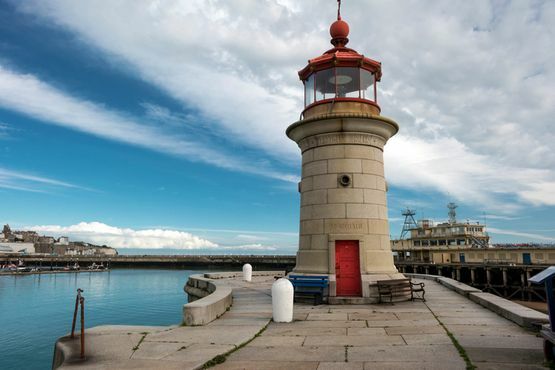 Based in Ramsgate, Kent, our team have prepared a step-by-step guide of the buying process. When you register your specific property requirements with us, we help you to find what you are looking for. Please don’t hesitate to ask questions and provide us with feedback so we can tailor viewings to properties that would be most suitable for you. When it comes to your mortgage, please make sure that you arrange your finances as early as possible. If you are not a cash buyer, we advise you to ensure your mortgage is agreed in principle before you start searching for a property. We suggest using an independent ‘whole-of-market’ mortgage adviser who will compare all of the best deals and only suggest products that would best suit your current status. Your bank may also have preferential deals available for their existing customers. Additionally, we would be happy to recommend a qualified mortgage broker to you. In advance of finding your perfect home, you need to find a reliable solicitor for the conveyancing and legal paperwork that comes with buying and selling property. This puts you in a better position to act when you have made an offer that has been accepted. Lovetts of Ramsgate would be happy to suggest local solicitors to take on your purchase. In accordance to the law, your offer will be submitted to the seller within 24 hours verbally and within 48 hours in writing. When we have received a response, it will then be passed back to you so we can move on the matter either way and help you to secure the property at an agreed price. If the seller accepts your offer, you should then instruct your solicitor. If you are getting a mortgage, instruct your bank or mortgage broker to proceed with your mortgage application. The lender will then arrange a valuation survey on the property, which will confirm to the mortgage company that the property is worth the amount they will be lending and is structurally sound. After your offer has been accepted, your solicitor will get in touch with the seller’s solicitor and raise any enquiries, check property details and any potential leaseholds, and service charges as well as carry out searches. In the meantime, once your mortgage lender has verified the property value, they will send you a ‘verified mortgage offer’. Together with your deposit (usually 10% to 25% of the agreed sale price) your solicitor will proceed to the exchange of contracts and arrange a completion date for you. At this stage, both you and the seller will sign the contract. Your deposit will then be transferred by your conveyancing solicitor to the seller’s solicitor’s account. The completion date is then agreed and set, which is usually up to or around one week after exchange of contracts. The mortgage lender will then transfer the rest of the money to your solicitor, who will transfer it to the seller’s solicitor’s account. You can then collect the keys to your new home! Additionally, we provide full tenant support along with assistance with the whole rental process. Contact estate agents in Ramsgate, Kent, to obtain more details about the buying process.